oomph. : he's the bomb. valentine's gift guide. 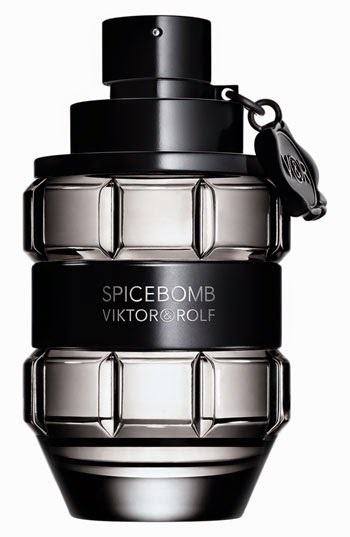 ain't he the [spice] bomb? while we're sitting pretty in peach, we like our guys a little more dark and mysterious. here are my picks for [black] accessories that are masculine and edgy. spicy. with notes of pink pepper & grapefruit, to cinnamon & saffron, to leather & tobacco, this just sounds manly. if not for the scent, get this for the bottle. it's just cool. athlete or not, the nike pegasus is a great neutral shoe that's stylish enough to wear whether he's working out or not. a man candle, or "mandle", as i recall hearing...the noire is presented in black colored glass with scents of rose and blackcurrant leaves. is your man a suit? this cool tie would be perfect for casual edgy fridays. these shades will definitely raise the coolness factor of the person wearing them. for the guy who will literally run for beer, how fun are these beer socks? not a beer drinker? liquor, wine, and even food socks available, too. every guy needs a great briefcase. the original is rugged and functional with plenty of room. or splurge on the 72-Hour Briefcase which includes a Joey electronics charger that's perfect for your working guy on the go. rich and mellow wood-aged port wine. pairs perfectly with many desserts. try serving it with a plate of figs, strawberries, and nuts. Boy, you've made me wish I was the guy in your life -- just to get these great gifts! I love port; I got a similar watch for Christmas; and a pirate necktie! You have good taste. Mandle...I love it! I love both sunglasses. My husband is a sucker for great sunglasses! great choice! love the tie and watch! Those sock are to cool. Nice guide, loving the port. Great idea! We don't drink much, but a good port is hard to resist. this is a great gift guide for men! i love that briefcase, watch and sneakers. Yes, yes! To all of your picks...need to smell the first one!